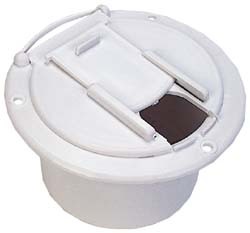 We offer Camper hatches that help conceal and protect your Camper cables and plugs. We carry a wide variety of styles and colors that accommodate all your RV needs. 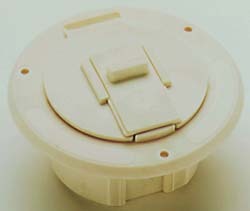 RV electric can be a hassle with wet Camper cords and plugs that short out and can at times be unsafe for your family. With these patented RV hatches you can not only knock out the frustration of short outs and shocks but help protect your family as well. 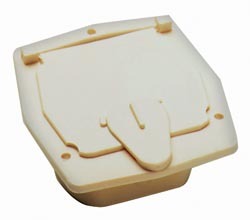 We offer protection for your Camper electrical outlets and inputs with a variety of protective Camper hatches. 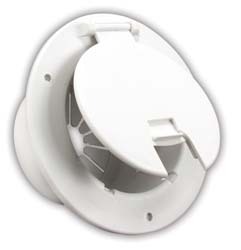 These RV Hatches offer security and protection for your outlets and plugs. 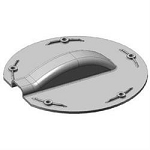 We carry a variety of Camper hatches that are easily installed and make Rv-ing safer and more secure. We carry all the Camper accessories and hardware needed to make your next camping trip easier and more productive. We offer the best so you worry less with higher quality and better performance.